Python application development services, using open source web frameworks, such as Django, Zope, Pinax. Quintagroup specializes in developing prime Python web applications. We adhere to Agile methodology, ensuring our products always meet your requirements. Our long experience in the open source technologies allows us to build top quality, reliable and cost-effective web applications of any complexity, from small web-based solutions to large complex systems. In a world of ever-changing demands and tight schedules our python developers are always ready to accept the challenge. Python is a high-level object-oriented programming language, widely used for the Web application development. It provides both powerful scripting and rapid application development across a range of fields. As the basis of many open-source and commercial products Python supports us with tools to build applications with excellent security record and performance levels. Python follows procedural, functional, and object-oriented coding paradigms. So the applications, written in Python come out with clean, readable code, making them easy to maintain or extend. Such systems do not follow the usual compilation and linking procedures, saving time and expenses, spent on the project. 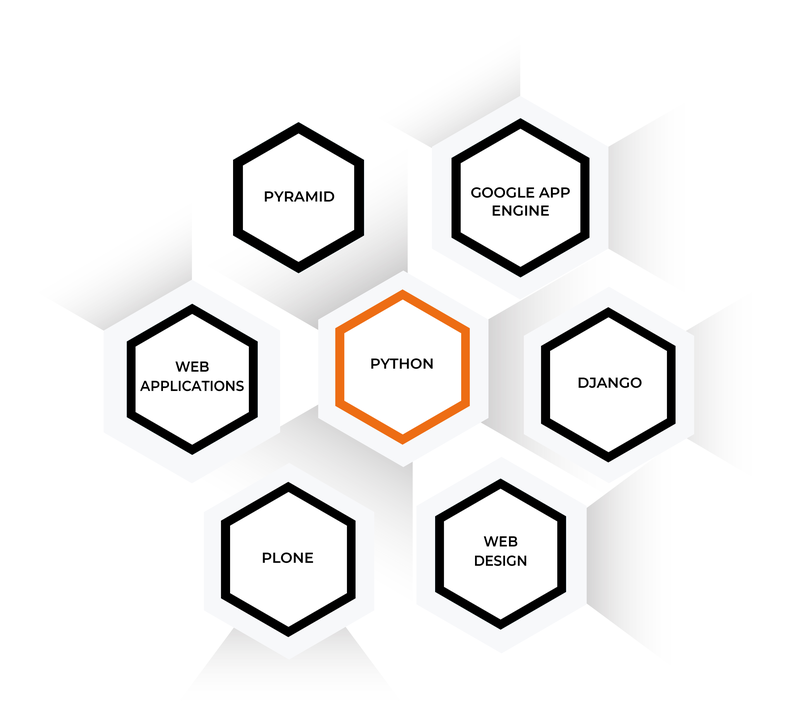 Python web frameworks or application servers like Pyramid, Tornado, Django, Pinax, Zope ensure that our programmers resolve even the most challenging tasks provided. Our project team is well-versed in all aspects of Python web development. We carefully analyze unique needs of your business and offer the most effective solution. We believe in creating the systems that deliver clear benefits to our clients. If you are looking for Python developers for any type of project, we would be happy to channel our expertise, talents and knowledge into working with you. Please contact us today to request a quote and learn more about our Python application development services.